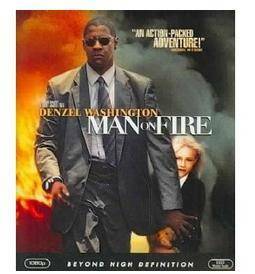 Man on Fire on Blu Ray only $4.96! Home / Deals / Online Deals / Amazon Deals / Man on Fire on Blu Ray only $4.96! I love to grab low priced movies and anything Under $5 is great!! Snag the movie Man on Fire on Blu Ray for the great price of only $4.96 right now on Amazon! Kids Tees $2.79 + FREE Shipping Today Only!